Your DNA contains valuable information that can guide you in making smart lifestyle decisions, supported by science. I believe that you should be empowered by your health data, allowing you to design your own future. In addition to your DNA, the environment you are exposed to and the nutrition and lifestyle choices that you make can also play a significant role in your health outcomes. Differences in your DNA are called variants and may indicate certain traits related to nutrition, exercise and supplementation, as well as speak to your ethnic composition. The next step is to eliminate or reduce exposure to toxins. Here are some products that can help to minimize your exposure to everyday radiation. 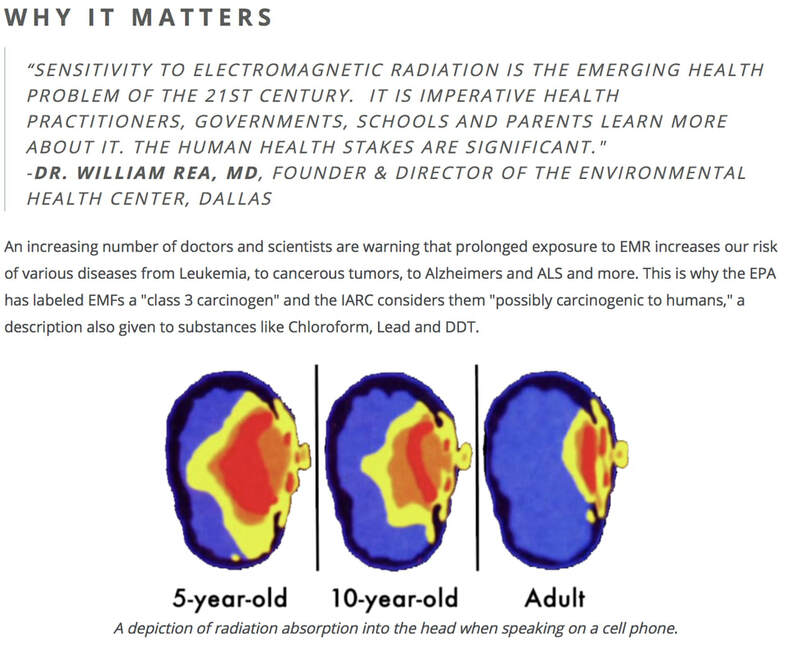 All of your personal electronic devices emit Electromagnetic Radiation (EMR), or Electromagnetic Fields (EMF) that are comprised of Extremely Low Frequencies (ELF), Radio Frequencies (RF, Wi-fi, data etc.) and Thermal Radiation (heat), all of which are potentially harmful. Gamma Rays, X-Rays and UV are also types of EMR. EMR has a high decay rate which means that most of the exposure is felt within a few inches and especially with direct contact (laptops, cell phones, tablets etc.). EMR can penetrate most natural and man made materials including wood, plastic, pillows, blankets, clothes etc.